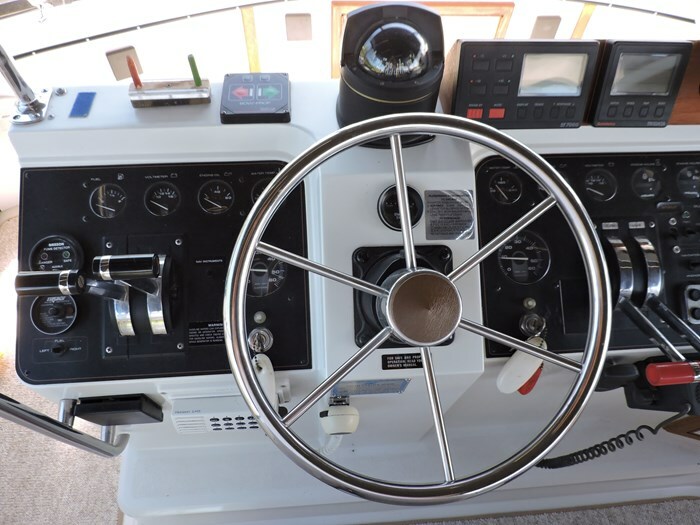 Navigatoin-Autopilot, Compass, Depth Sounder, Engine Sync. 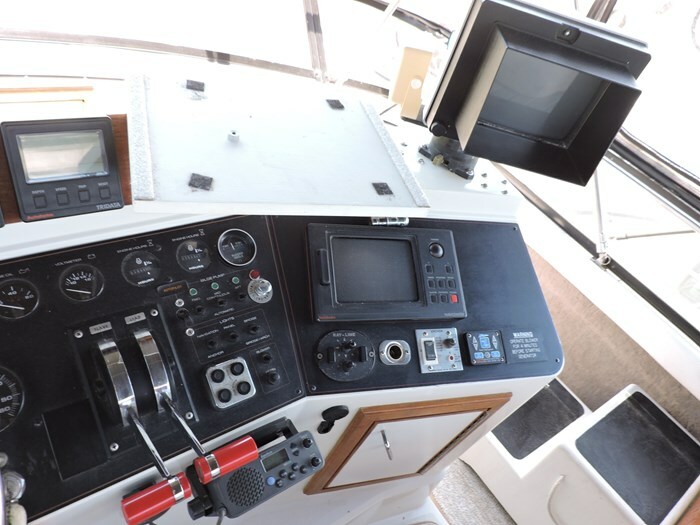 Gauge, Full Engine Instrumentation, GPS and Antenna, Horn, Lower Helm Station, Navigation Lights, Radar, Remote Spotlight, Rudder Angle Indicator, VFH Radio, Wiper. 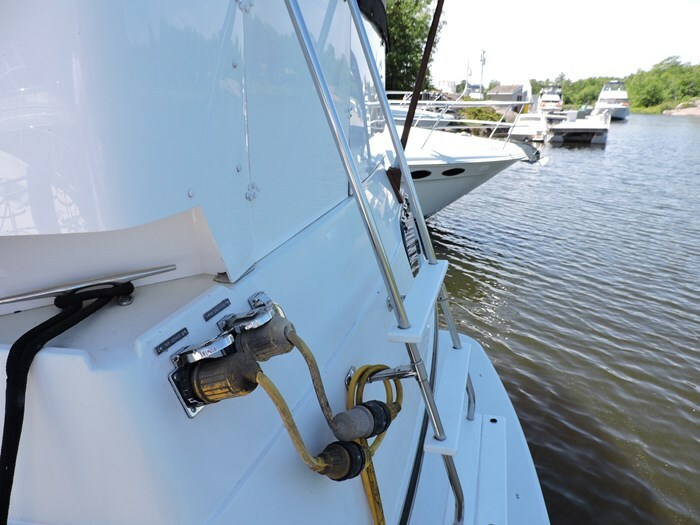 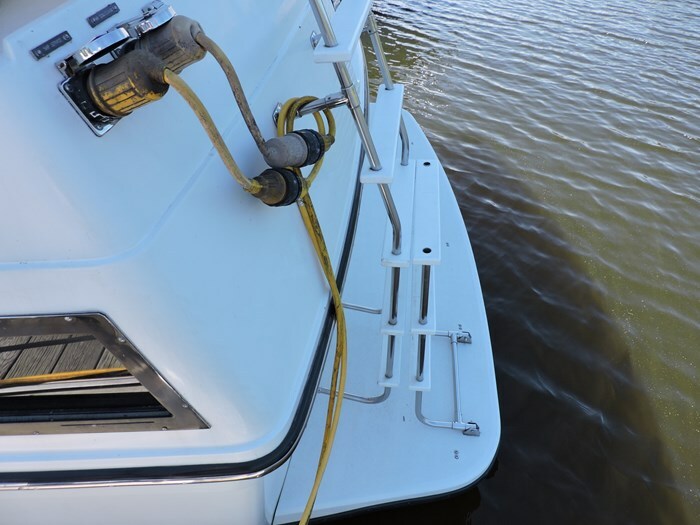 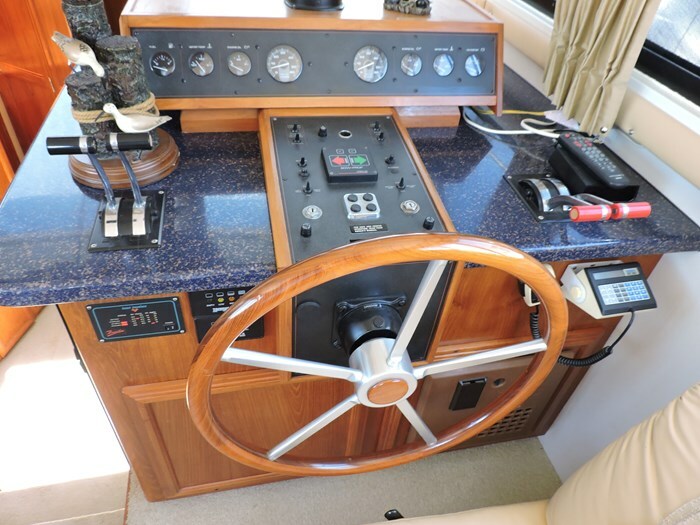 Systems-110V Hot Water, 12V Outlet, AM/FM Stereo Anchor Windlass, Automatic Halon, Batteries with Charger and Switch, Bilge Pumps and Blowers, Bow Thruster, Dockside Water, Gas Generator, Hour Meters, Hydraulic Trim Tabs, Knot Meter, Pressure Water, Reverse Cycle Heat and Air Conditioning, Salon TV/DVD, Shorepower with Cords, Waste and Water Gauge. 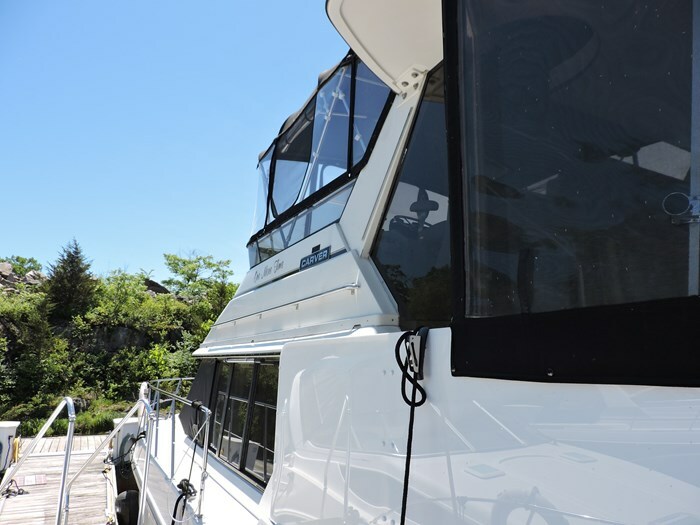 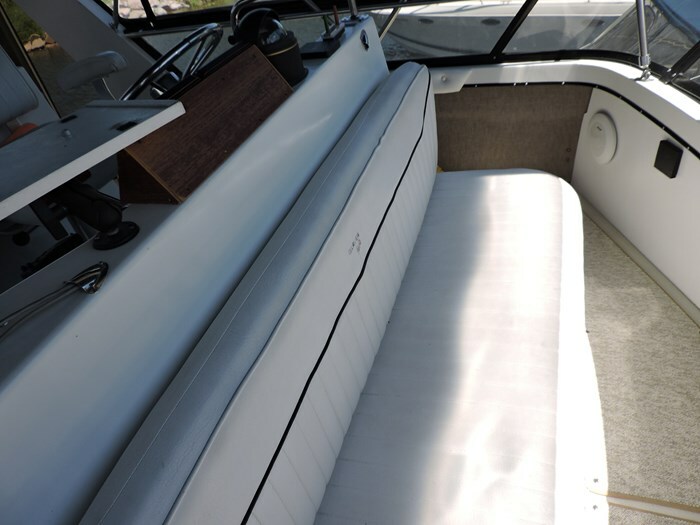 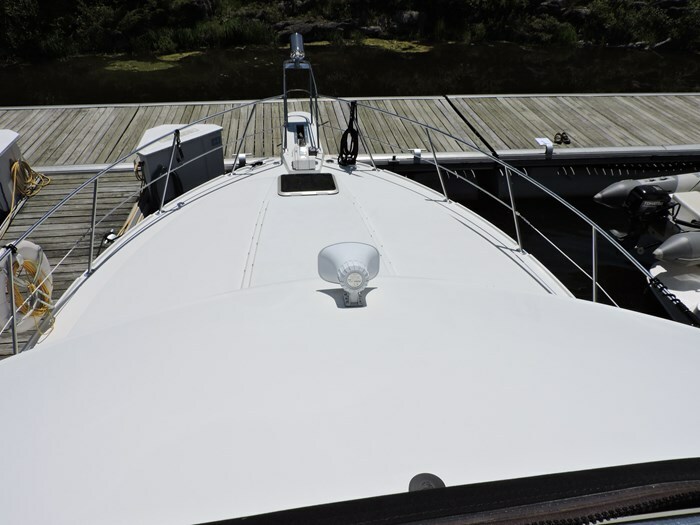 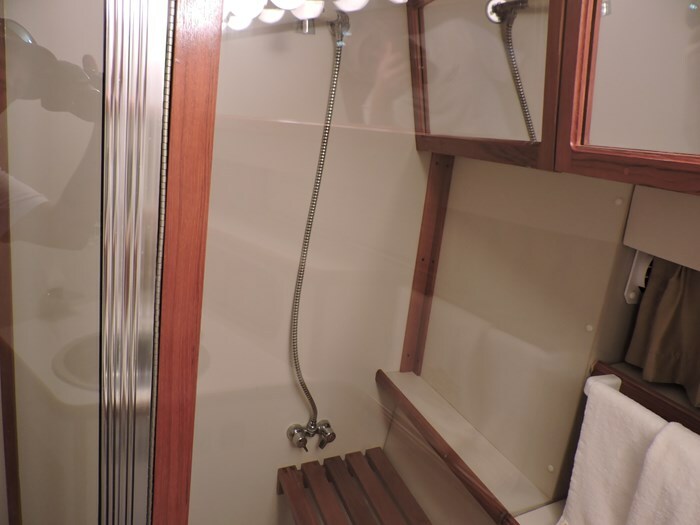 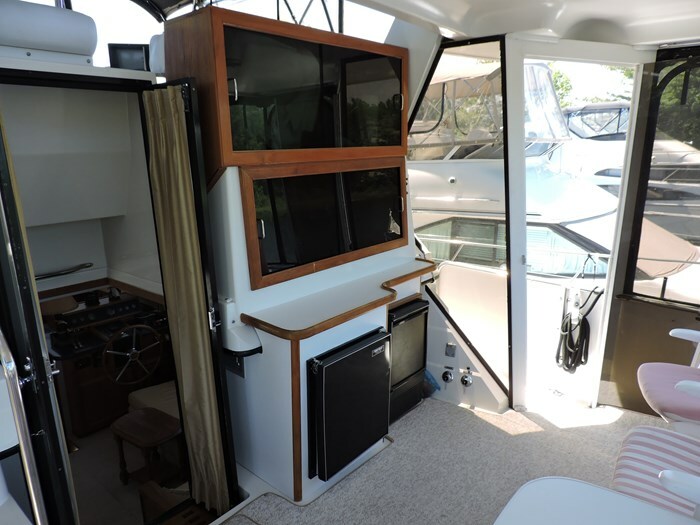 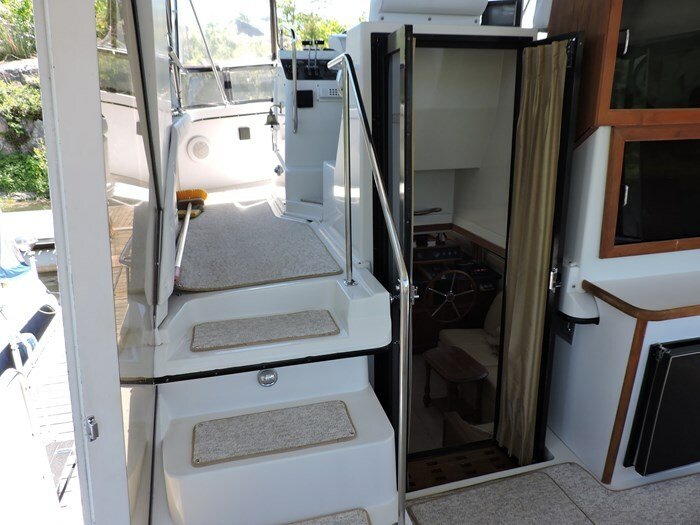 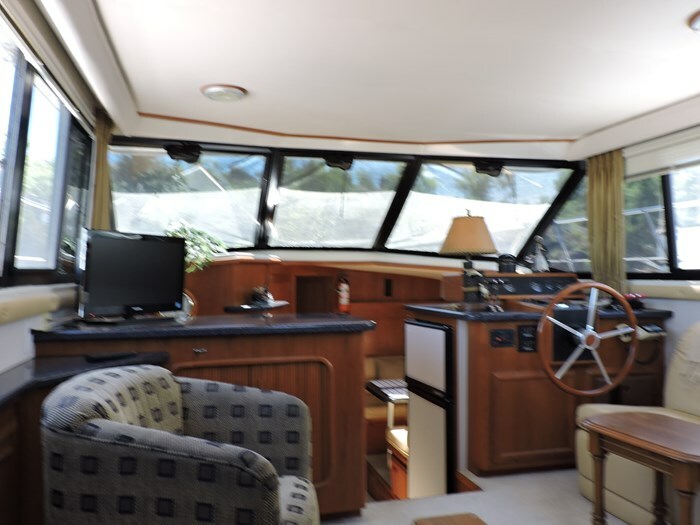 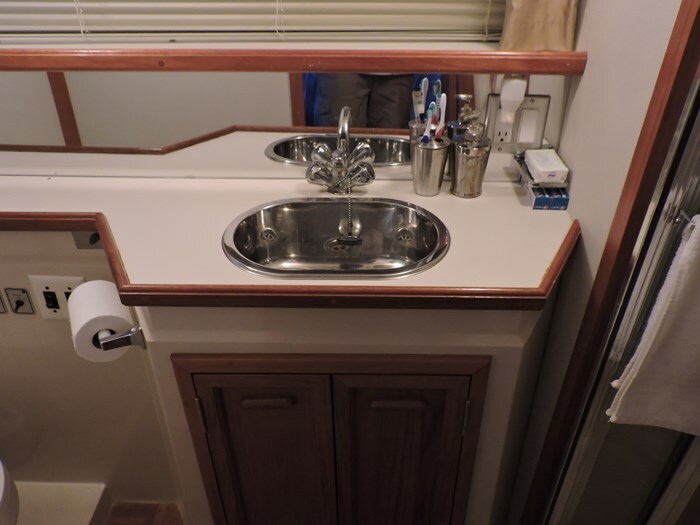 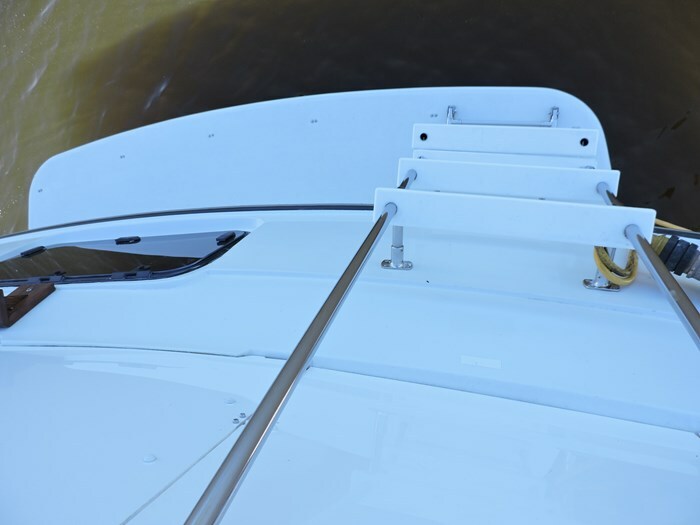 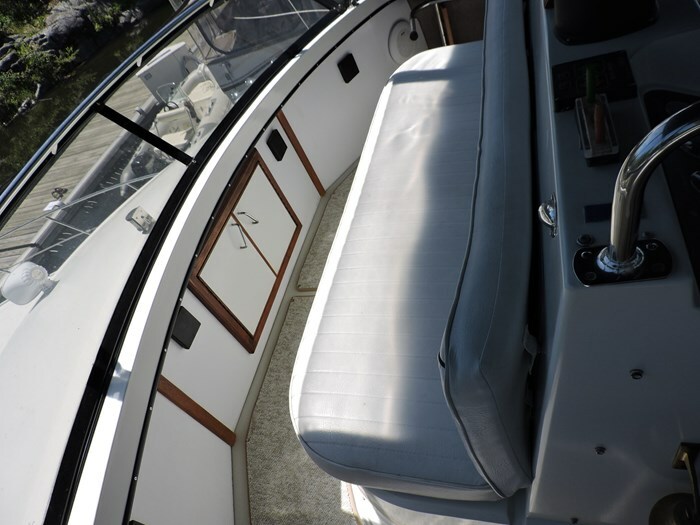 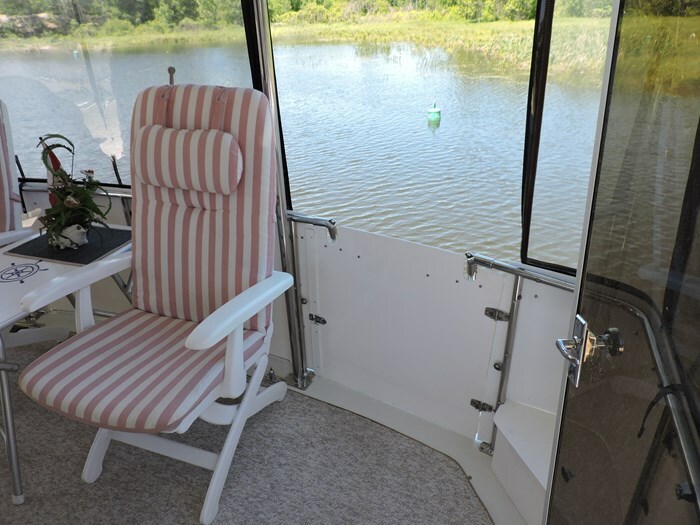 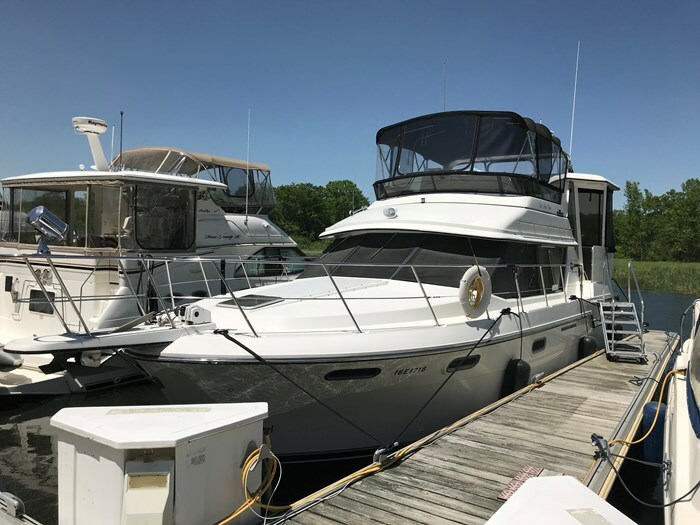 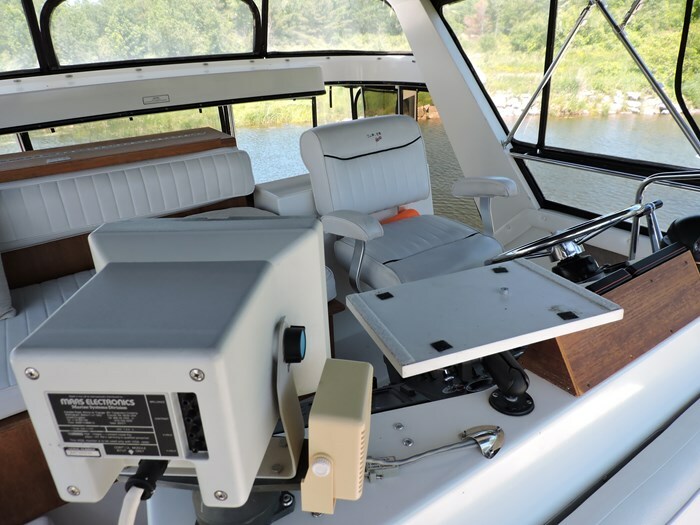 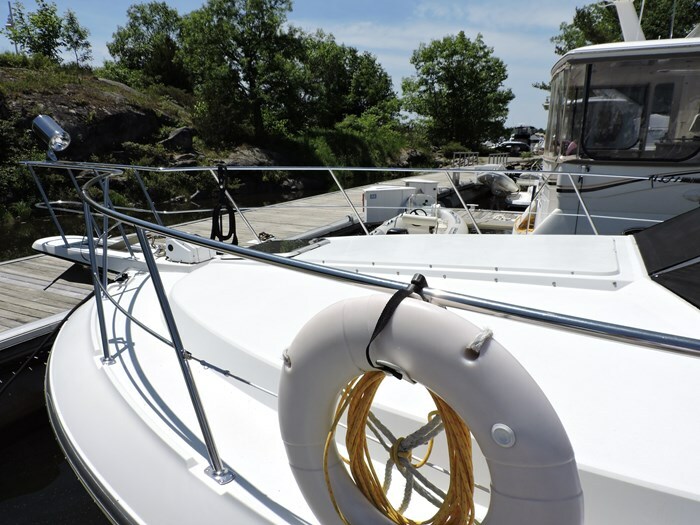 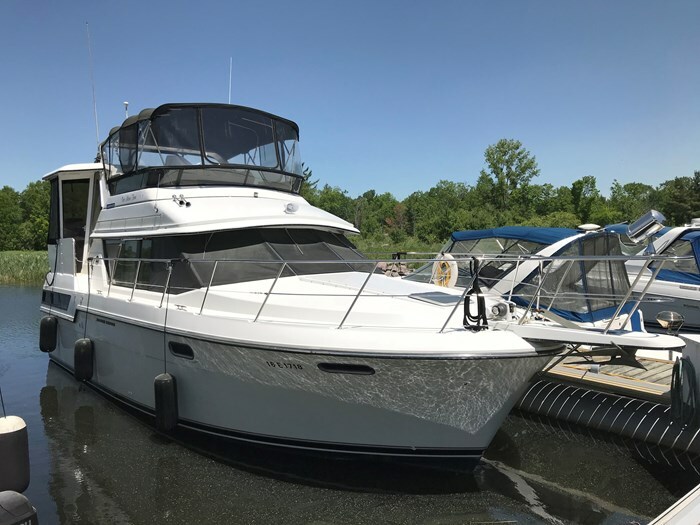 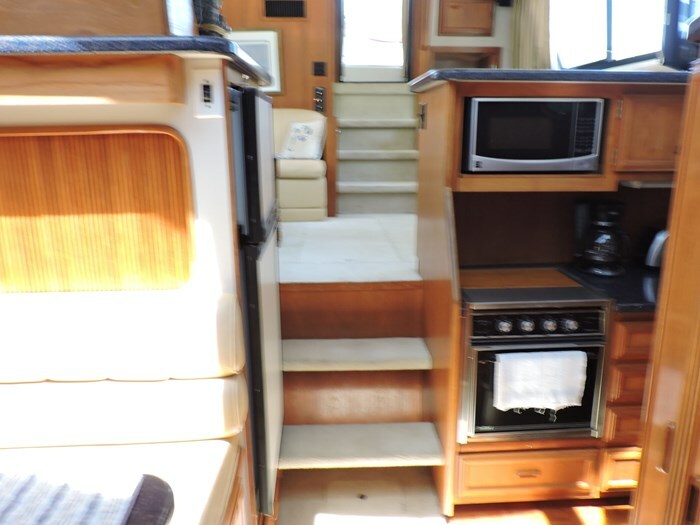 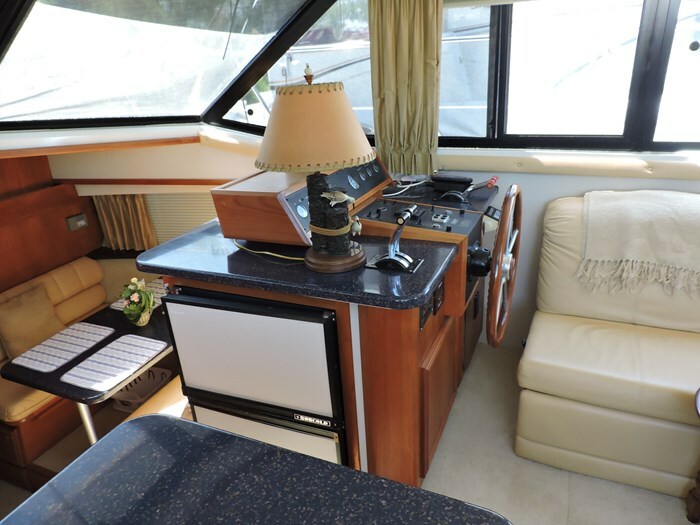 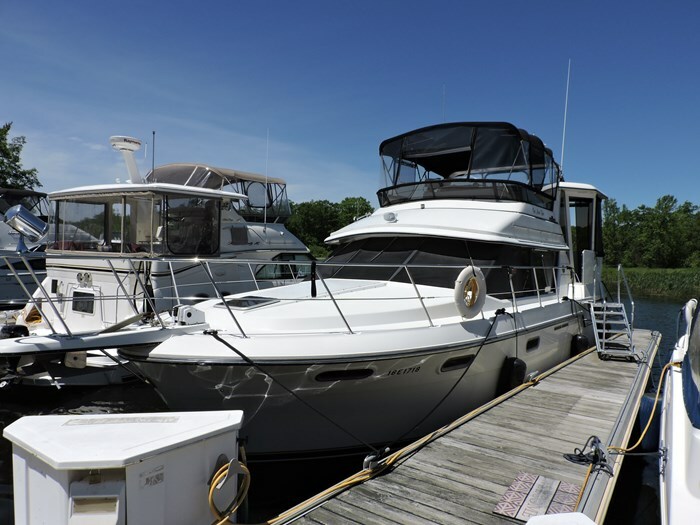 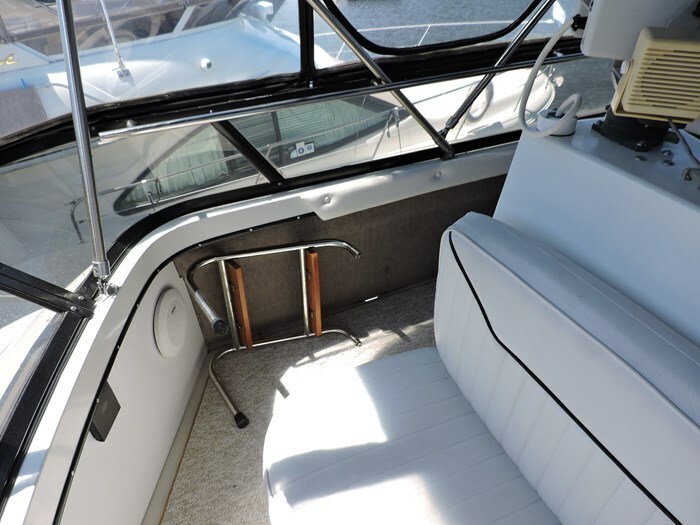 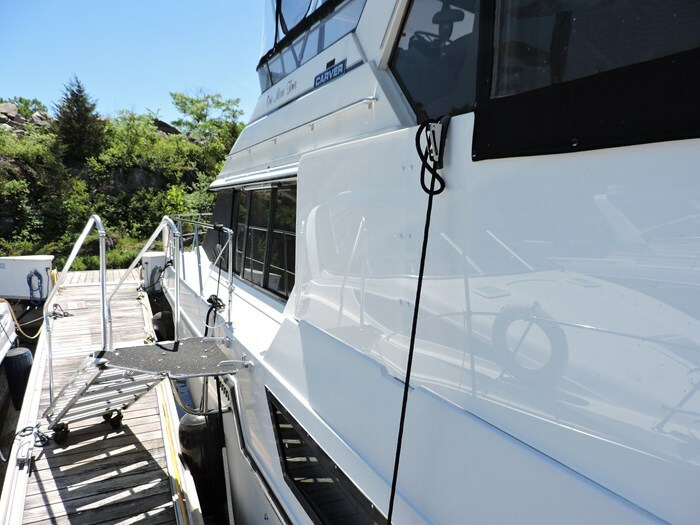 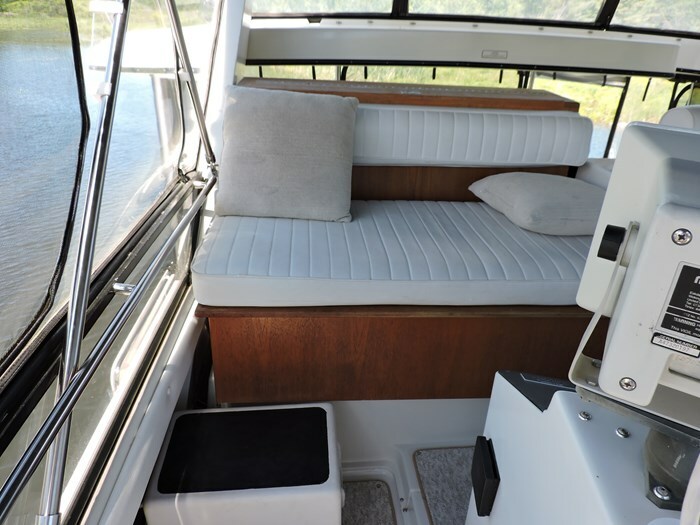 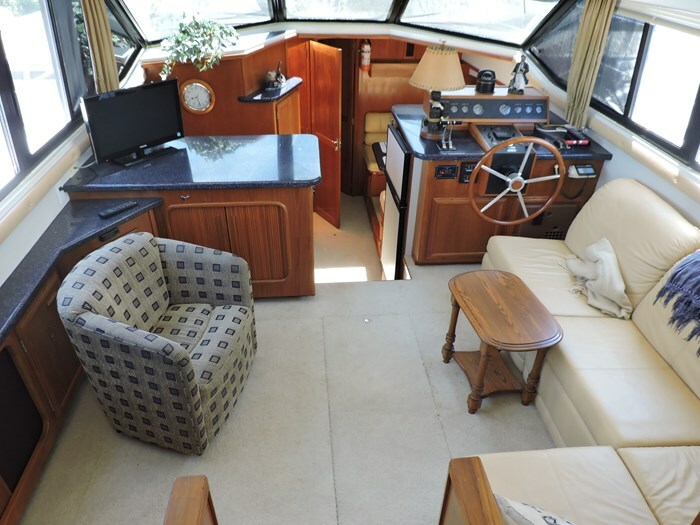 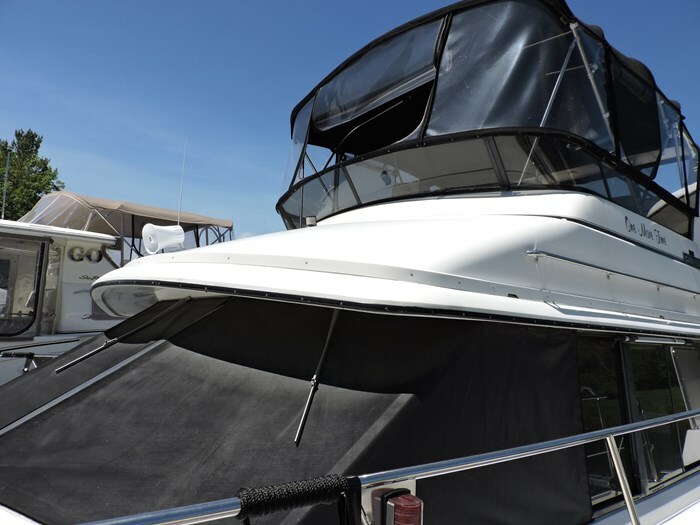 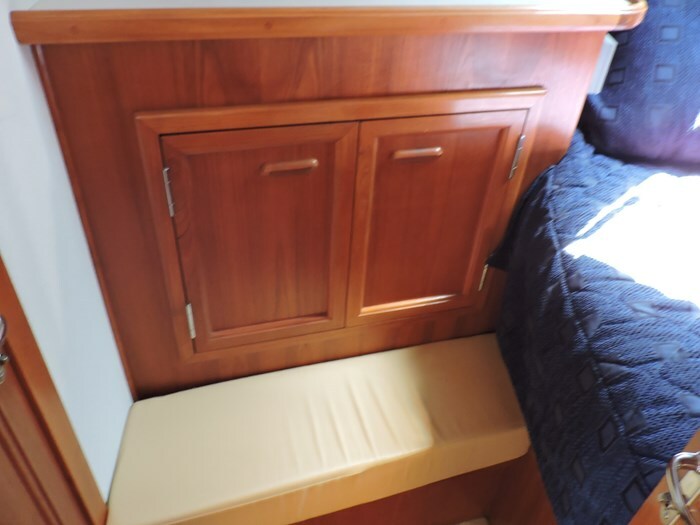 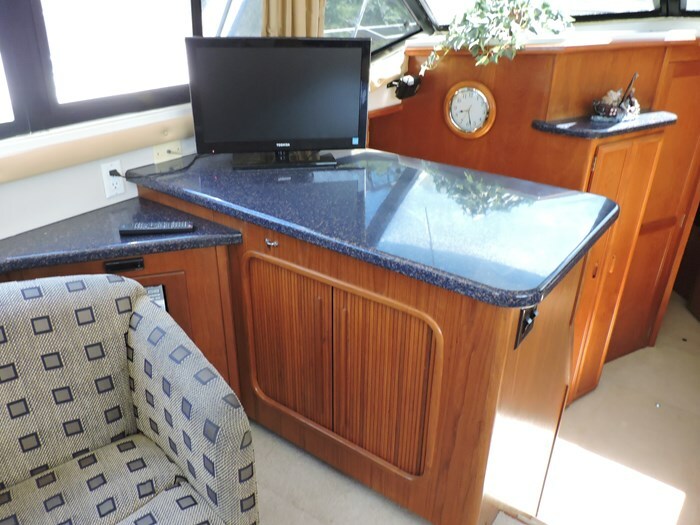 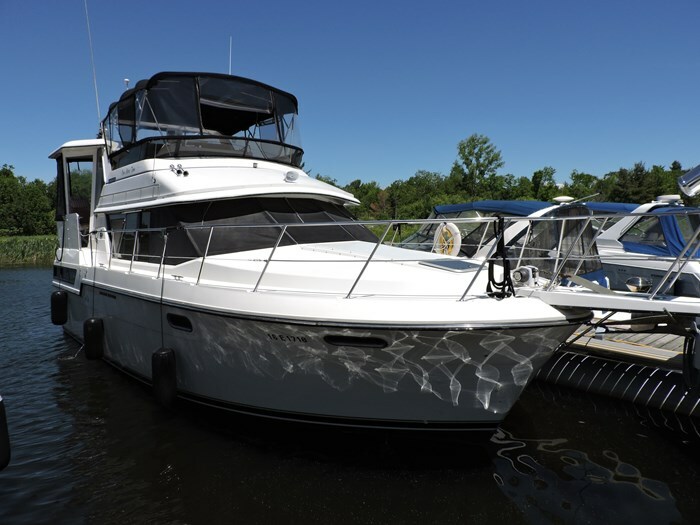 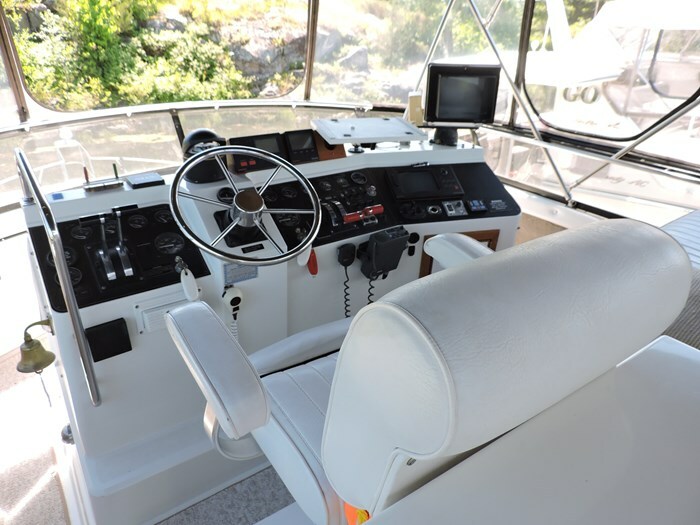 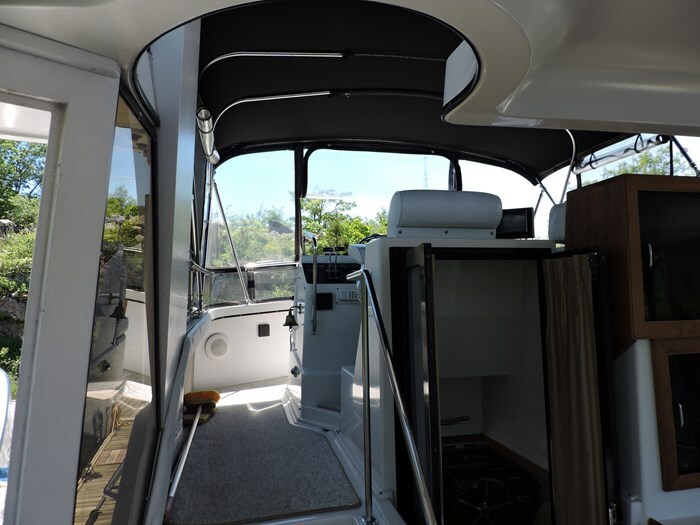 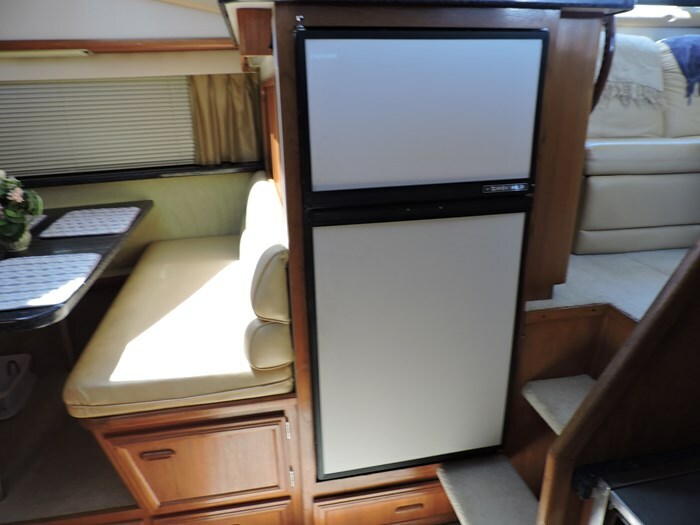 Exterior-Adjustable Helm Seat, Aft Deck Enclosure, Anchor Roller, Bimini Top with Full Enclosure, Boarding Ladder, Bottom Paint, Bow Pulpit, Bow Rails, Courtesy Lights, Exterior Fridge, Exterior Removable Carpet, Exterior Wetbar, Hardtop, Radar Arch, Swim Platform and Ladder, Weatherboards, Wing Doors. 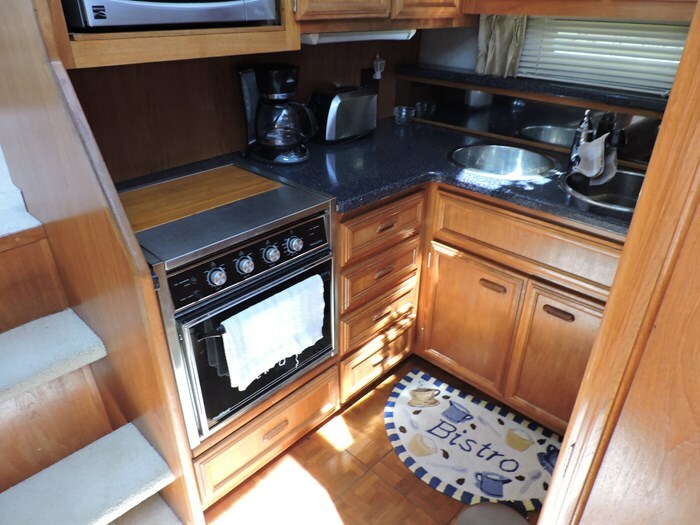 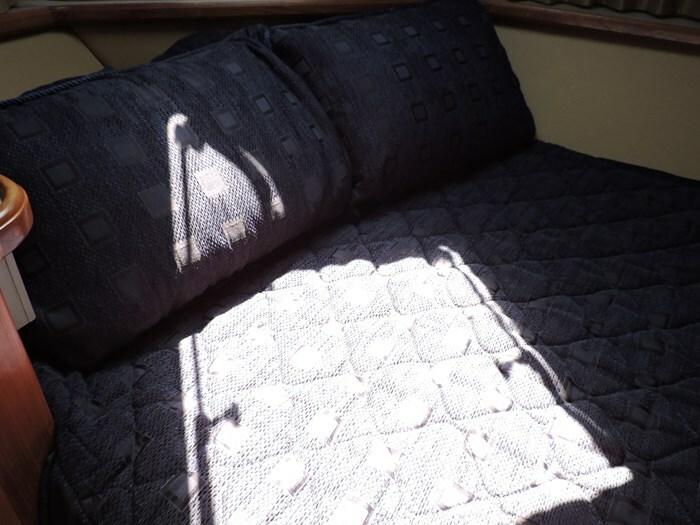 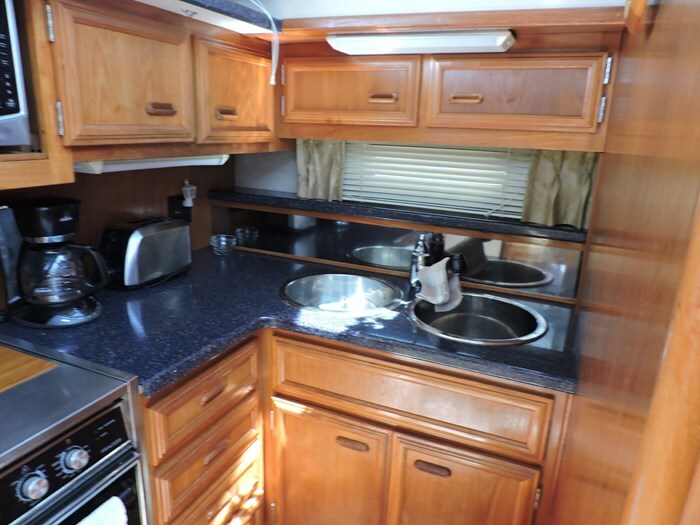 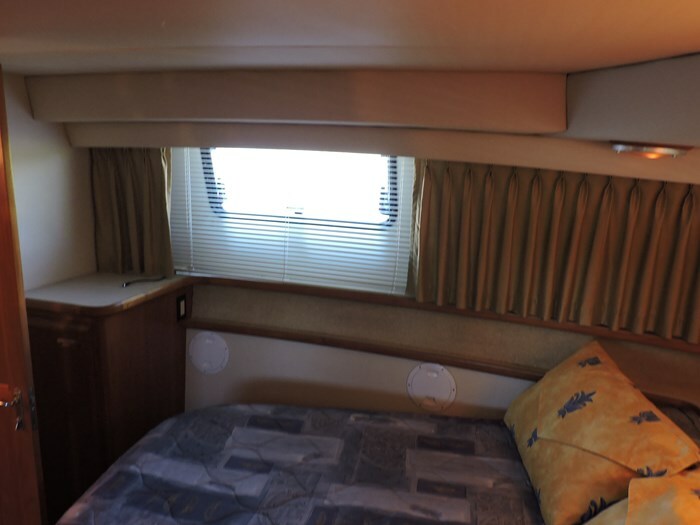 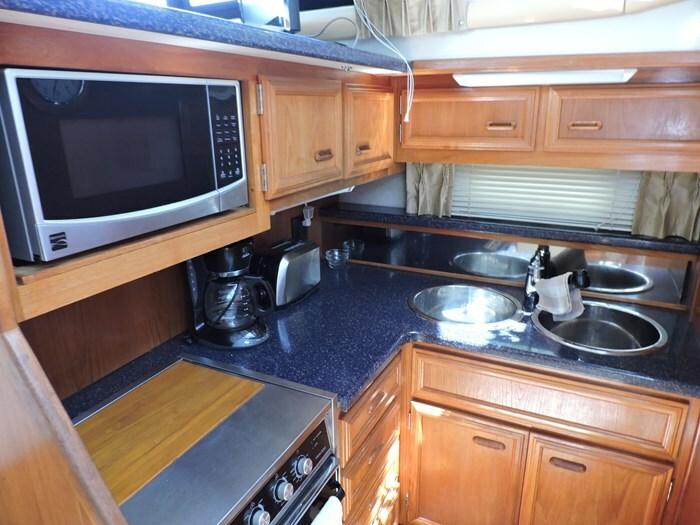 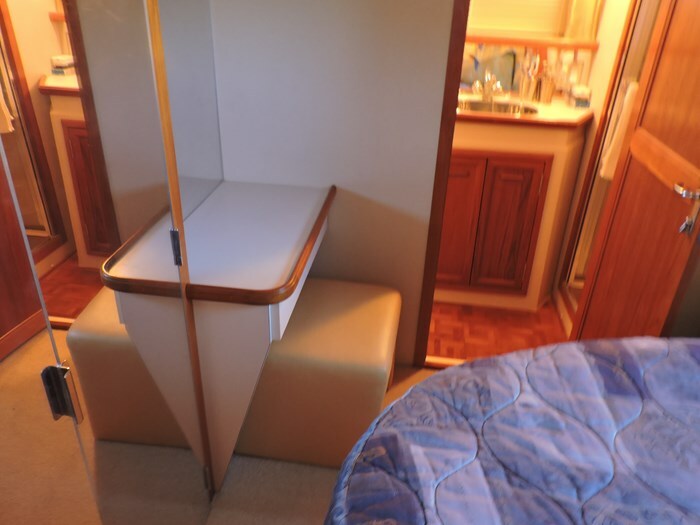 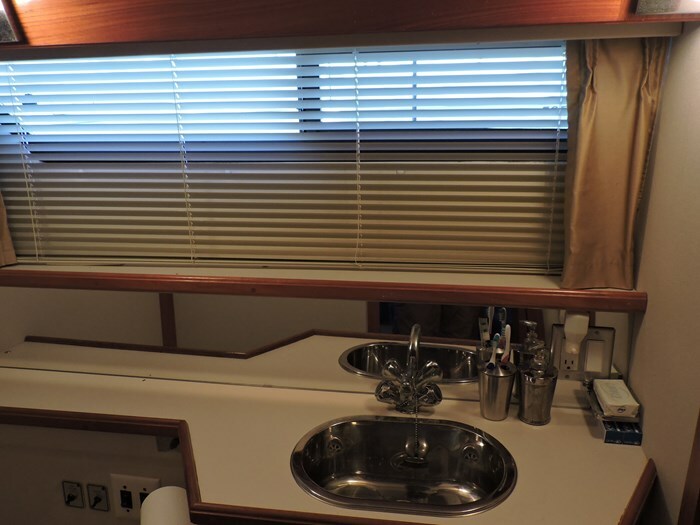 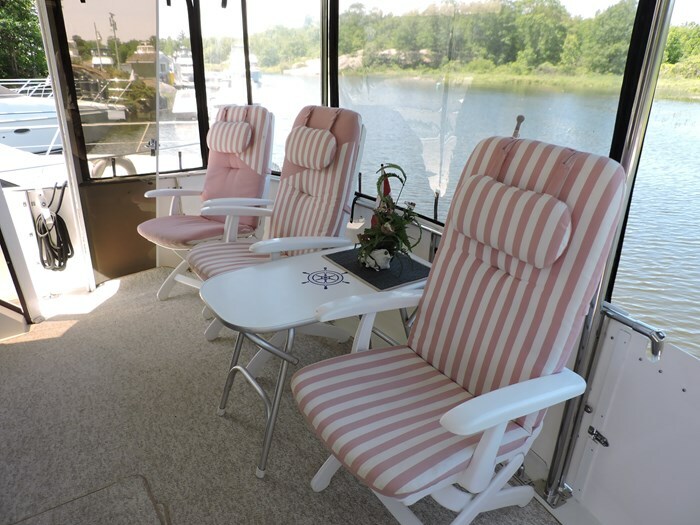 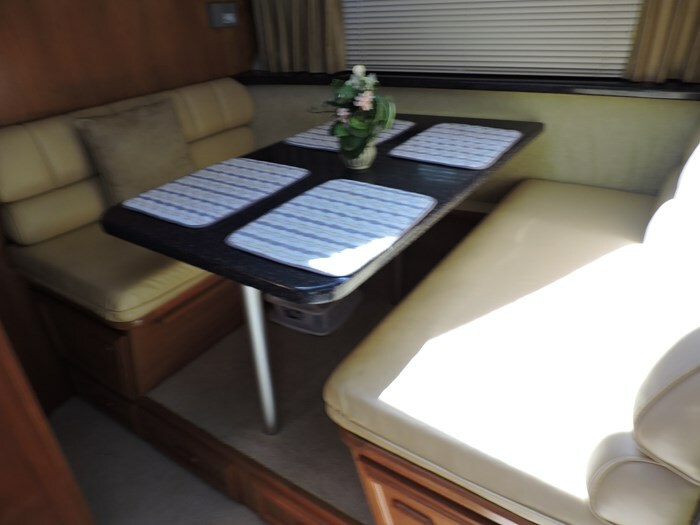 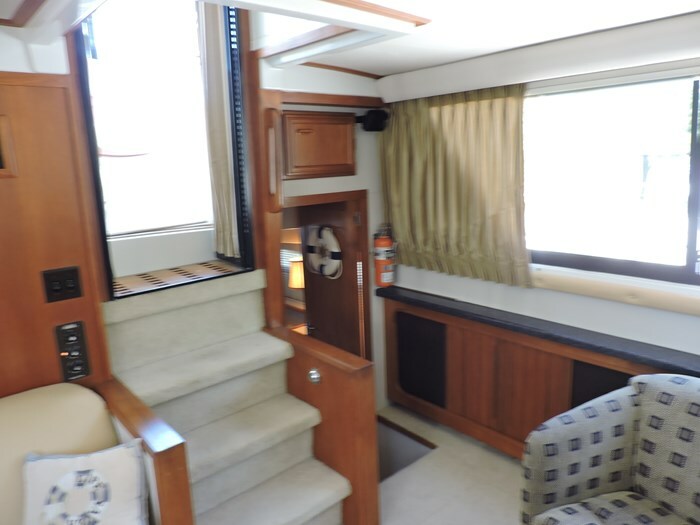 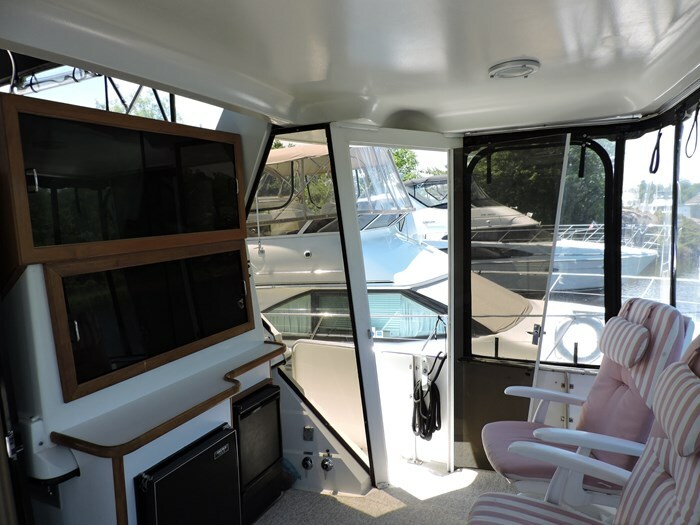 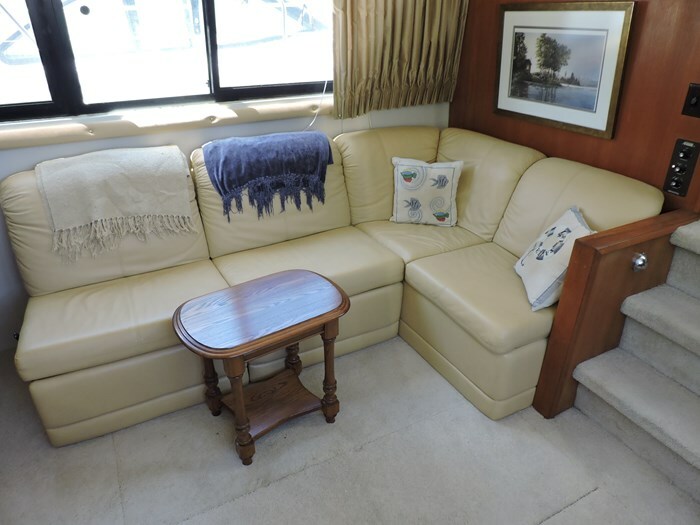 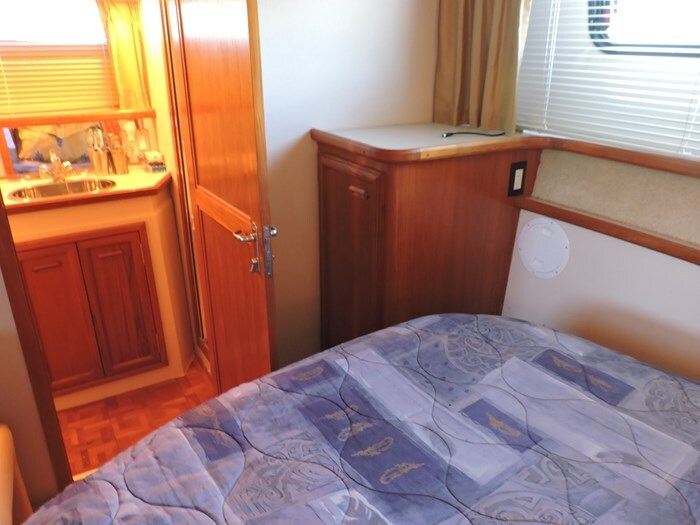 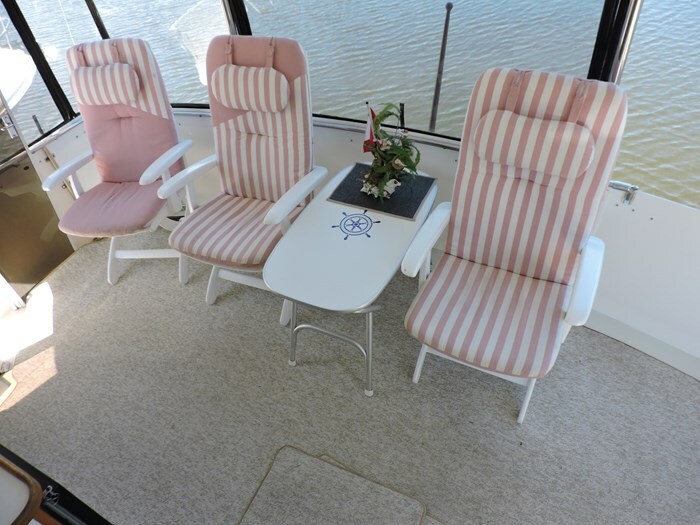 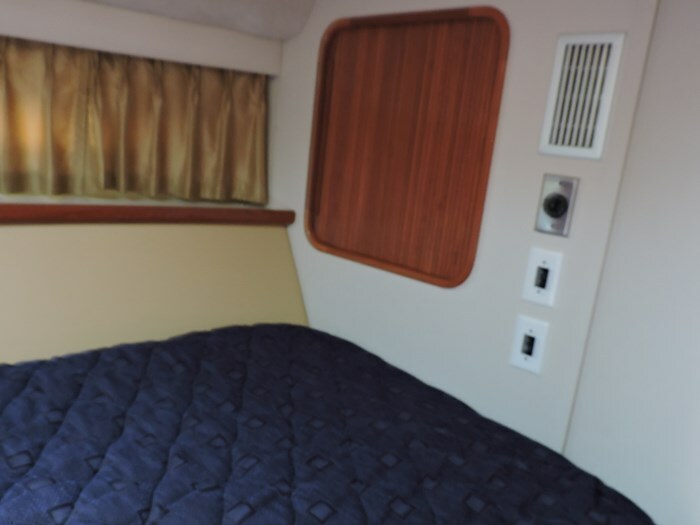 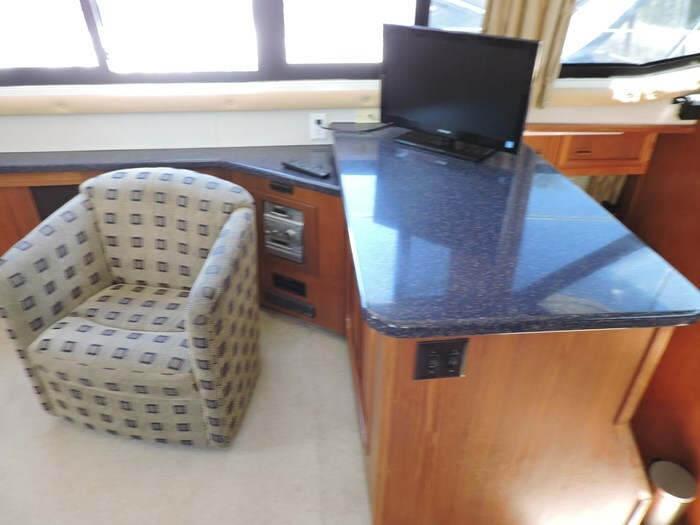 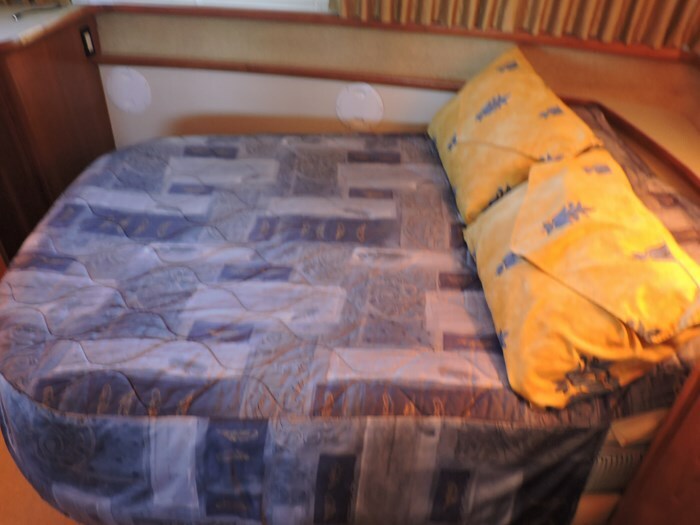 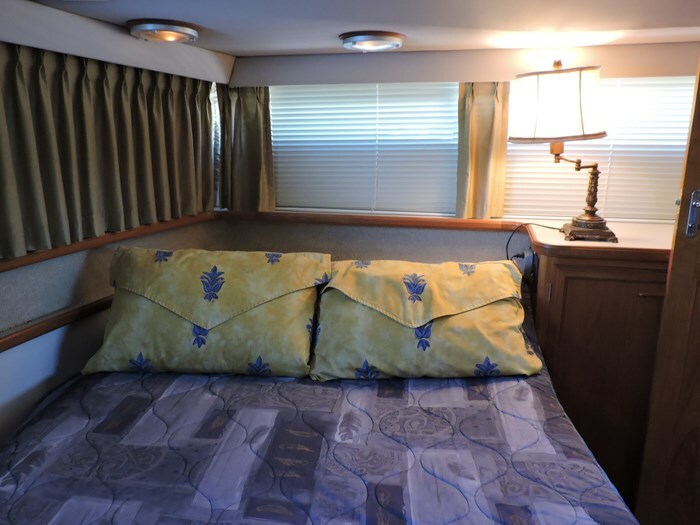 Interior-Cabin Carpet, Cabin Lighting, Curtains, Deck Hatch, Mini Blinds, Port Holes, Salon Chair, Salon Sofa with Recliners, Salon Table. 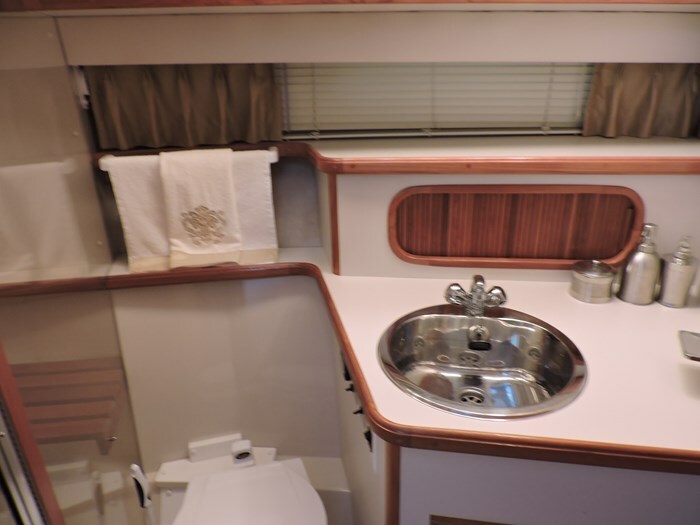 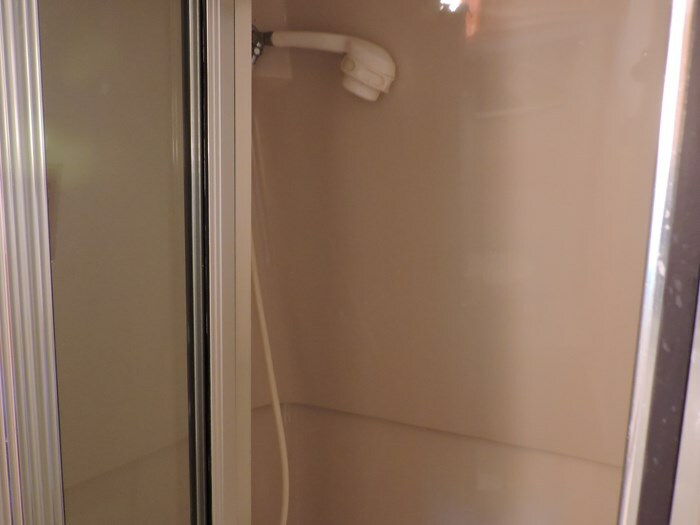 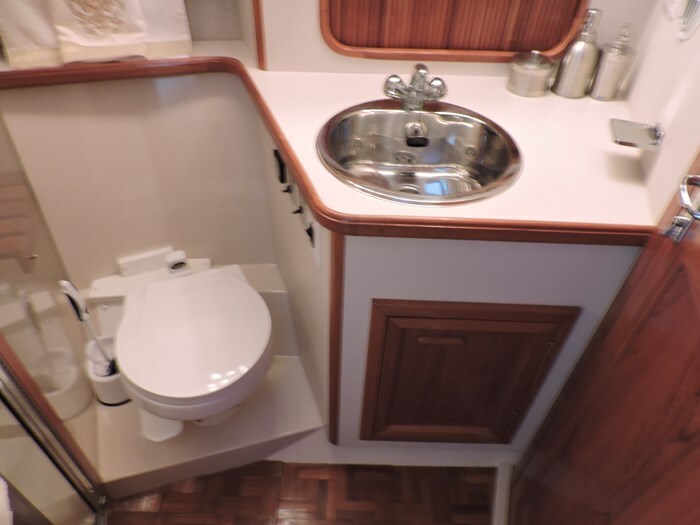 Guest Head-Vacuflush Toilet, Exhaust Fan, Mirror, Sink, Stall Shower, Vanity. 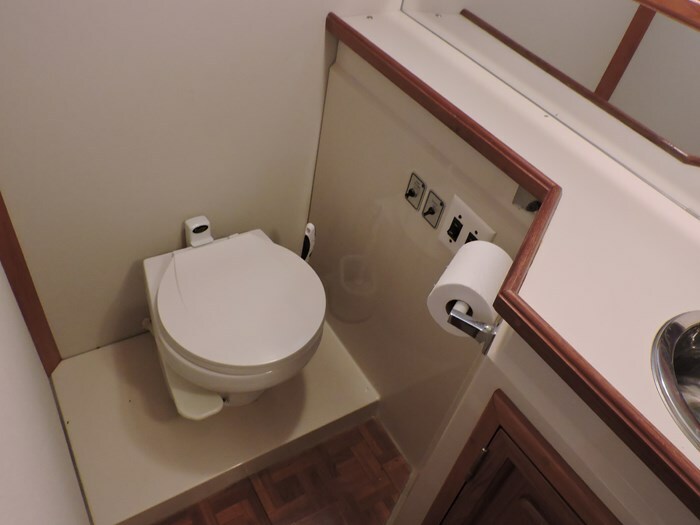 Master Head-Vacuflush Toilet, Exhasut Fan, Mirror, Sink, Stall Shower, Vanity.